High strike-rate and highly profitable Best Bets from a proven model. Just the third new racing analyst to join Champion Bets since 2017. Confidently forecasting 35% strike-rate and 15% Profit on Turnover based on the long-term results of this advanced model. The best bets each day from any TAB meeting. Daily updates around 30 minutes before the first race of the day. For a number of years Rick Williams was a professional punter focusing on speed ratings, class ratings and video analysis. But over the last two years he has completely revamped his approach. Rick has used the knowledge gained from years of hands-on form and ratings analysis, as well as mentoring from one of Australia’s most successful punters, to develop a custom-built database with thousands of variables. He’s able to consistently find value by linking multiple data sources and interrogating it in a way that no other punter is doing. Mainstream databases may have small edges, but their client base soon erodes that value to the point where it is no longer profitable. 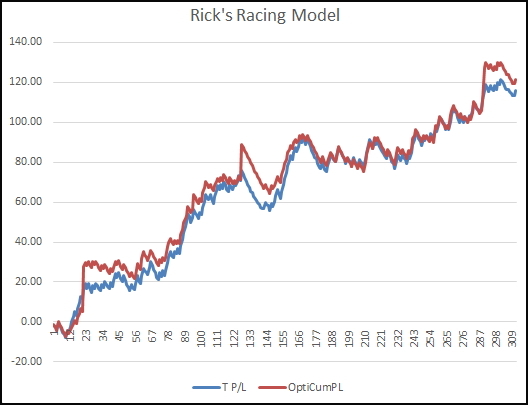 That’s not the case with Rick’s Racing Model as it is a unique approach that produces a consistent flow of winners at prices that make very good profits. Get on board if you’d like to reap the benefits of a proven, data-driven approach to finding standout selections right across the country.